We Have An Exclusive Look At The Tomorrowland UNITE Stage! Tomorrowland UNITE is in full force and have released an exclusive glimpse at what the massive Tomorrowland stage will look like. 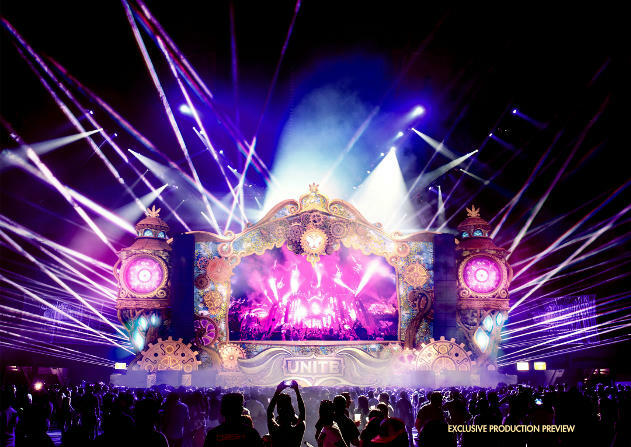 Tomorrowland UNITE lands at Ticketpro Dome in Johannesburg on July 23rd and will feature a livestream in from Tomorrowland Belgium with International heavyweights such as Dimitri Vegas, Like Mike, Afrojack, Nicky Romero and Axwell & Ingrosso. 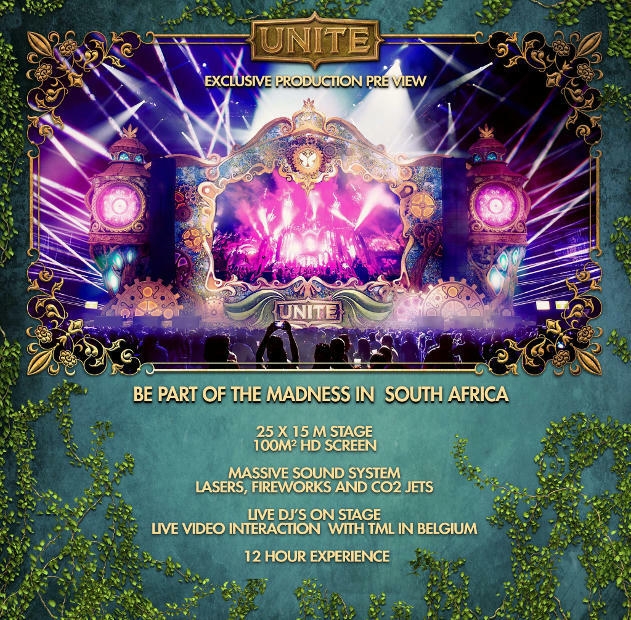 Complimenting these titans of music are some of SA’s best producers and DJ’s, creating special local performances specifically designed for the Tomorrowland UNITE South Africa audiences. These include local house legend and award-winning DJ Fresh, 5FM’s funnyman Roger Goode and chart-topper Timo ODV. One of Cape Town’s biggest DJs, Dean Fuel will be spinning a set curated in celebration of 12 years of Tomorrowland. Kyle Watson will bring the heat with an exclusive mix of his productions, Household Funk have added the supreme voice of Justine Chalice to the their infectious sound, Ricardo Da Costa will be joined by live percussion from Sterra, and Vimo and Chunda Munki will be playing back to back to end off this unparalleled experience! The live crossing will be synced with the main stage in Belgium! So, when the international artists press the CO2 cannons in Belgium, the same thing will happen at the same time on the Tomorrowland UNITE stage in South Africa and all over the world. Be part of this unique world-wide phenomenon and get your tickets today from ticketpro.co.za.